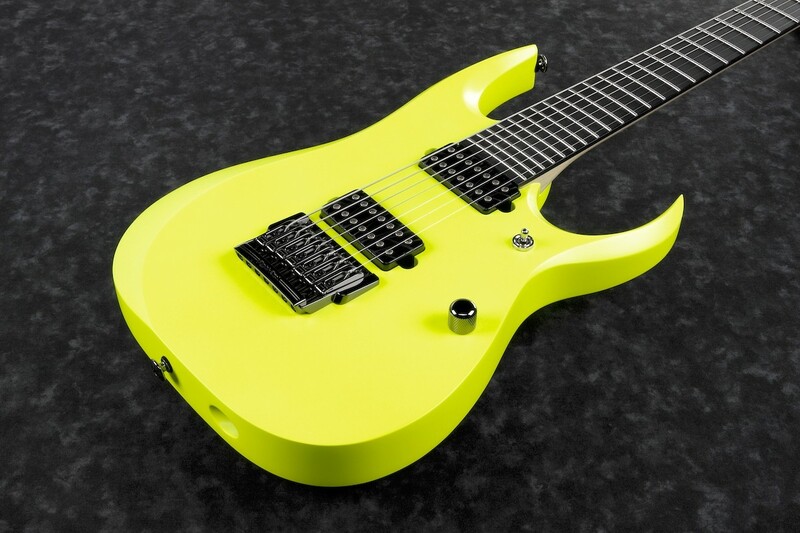 Ibanez Prestige RGDR7UCS Exclusive Limited Run 7-String in "Desert Yellow Flat". Special features include: Mahogany body, Stainless Steel frets, Ebony fingerboard, Bare Knuckle pickups, Reverse Headstock, Tight-End R bridge, Gotoh Locking tuners, and a never before done finish. Perhaps the best sounding Ibanez 7-string ever was the DCM100, which was a mahogany body RGD with reverse headstock. It had a deep, menacing tone with amazing resonance and tightness. I wanted to capture that mojo, and improve upon it further with the addition of an Ebony fingerboard, Stainless Steel frets, and Bare Knuckle pickups to make the ideal sleek 7-string shred machine. I believe this RGDR7UCS will accomplish just that! 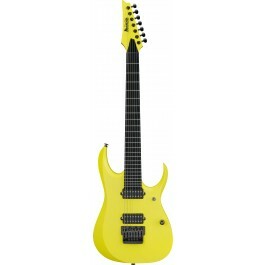 We are delighted to bring you this, our 6th Axe Palace exclusive Ibanez limited run model, the RGDR7UCS. Only 12 of these are being produced for us and we are taking pre-orders now. Delivery is expected by April 2019. 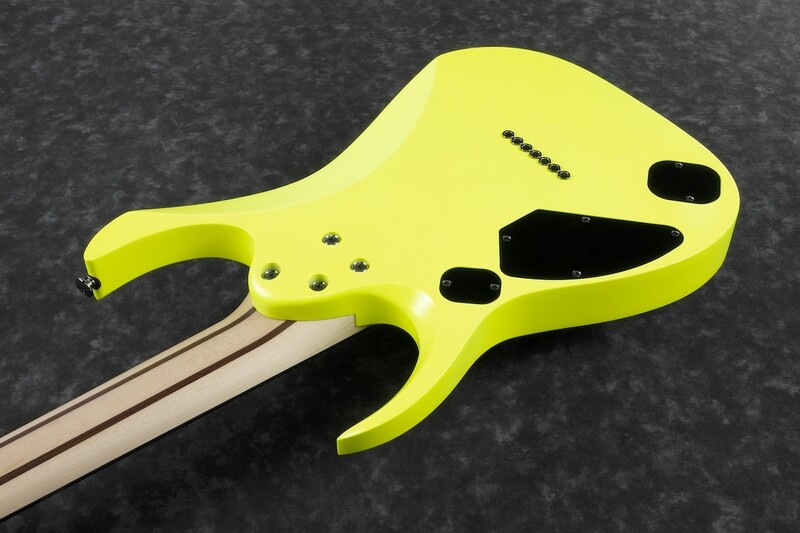 Our previous sold-out Ibanez Prestige limited runs turned out wonderfully and were beloved by our customers. I have no doubt these will be no different.